I hope you're all doing well and enjoying the festive season upon us! With myself being in the festive mood i tried creating a small crochet Christmas themed stocking to hand up on our tree at home, and i don't think i done a very bad job for a first attempt at my own pattern for something of this nature! I did have an issue figuring out the pattern for where the heel meets the front of the stocking to make a straight row of stitches for the top of the stocking to come from. My logic for it was to just increase the height of the stitch, so i started with single crochet, then up to Half double crochet, double crochet and then triple crochet, and back down to descending to single crochet. We (myself and Abbie) took two of these to a recent school craft fair to see what kind of reaction the public have to these, and within around half an hour we had sold the two and had taken an order for another 7 stockings! all to my surprise as i thought maybe they would sell eventually on the day or even us cutting the price / giving them away, so i was well pleased with the outcome. 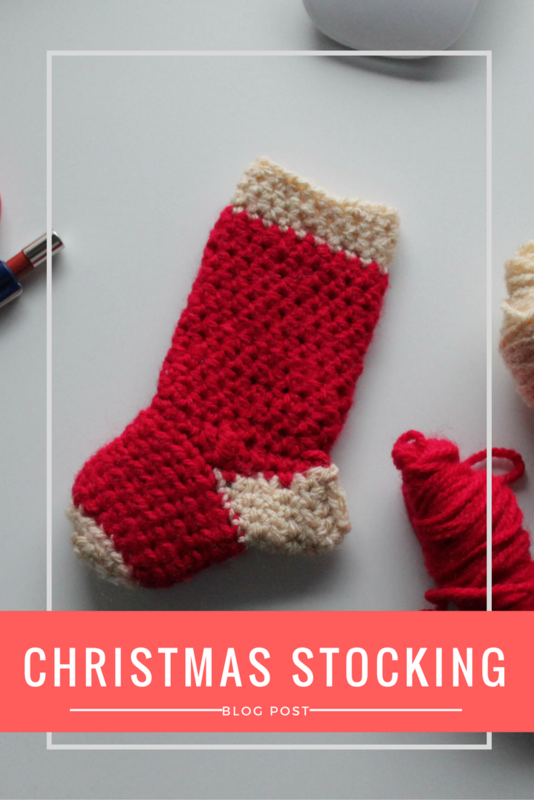 The only issue with the order being is that each stocking project takes me around 2 hours each to complete as I'm not a very quick crocheter (if thats a word? ), but nethertheless, i am extremely grateful people are willing to have my crafts on display in their homes over the Christmas period. I have the pattern written down for future reference, and if the response from the blog post is good i will even give away the pattern on a future post for free! so please share and comment on the post. What handmade crafts have you purchased over this period? or do you keep previous ones brought from previous years?